NU’EST’ Minhyun is set to be the first ever Korean male celebrity to be invited on Milan Fashion Week. Yes, you read that right. 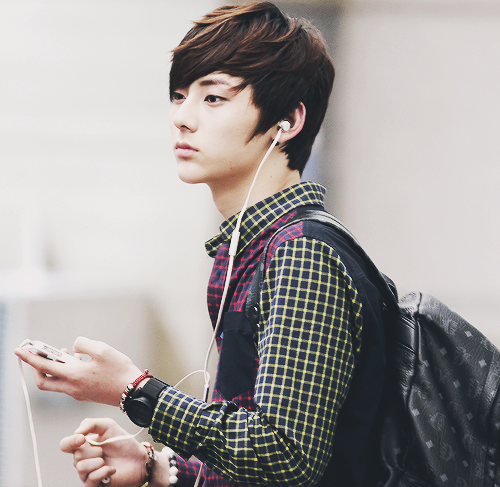 And it was Minhyun himself who shared the good news through his Instagram account on February 9. As invited, Minhyun will be attending the presentation of premium lifestyle brand Moncler Genius’s new collection in Milan, Italy. According to Soompi, this will be his first official activity since returning to NU’EST after wrapping up his activities as a member of Wanna One. The invitation is a testament that fashion brands both in and outside of Korea are showing an interest in Minhyun for his fashion style and sophisticated visuals. Minhyun attended Seoul Fashion Week back in 2016 and 3 years later now in 2019 he is invited to attend one of the world biggest fashion weeks “Milan Fashion Week” as the first korean male celebrities to ever attend the show of the brand itself. "nu'ests' hwang minhyun is the first male celeb from south korea to attend milano fashion week"
Minhyun will also be participating in photo shoots, among other activities, after attending Milan Fashion Week’s Moncler Genius collection.